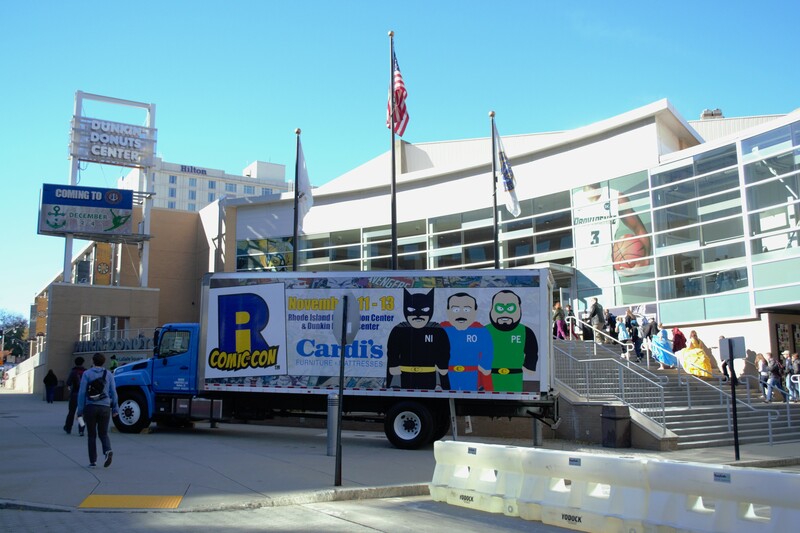 From November 11 to 13, TheYoungFolks.com’s music editor Ryan Gibbs and contributing photographer Megan Phelps attended the Rhode Island Comic Con in Providence, Rhode Island. The following is our in-depth overview of that event. 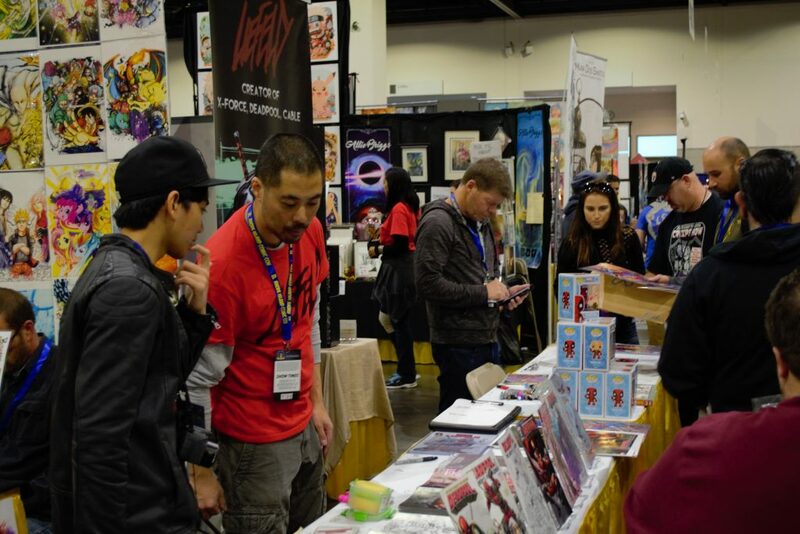 Now in its fifth year, the Rhode Island Comic Con is easily the largest event of its type in the Ocean State and one of the largest in New England. Last year, The Young Folks attended the convention for the first time. Despite a few hiccups, we found it to be a relatively positive experience. For 2016, convention organizers Altered Reality made some alterations to the event’s layout and invited several big-name guests such as Stan Lee, Jeffrey Dean Morgan, Millie Bobby Brown and Alice Cooper. All told, it seemed to be a bigger-scale event while remaining in the same two buildings. As for The Young Folks, we upped our coverage of the event, as I went all three days and contributing photographer Megan Phelps joined me Saturday and Sunday. Her photos are included throughout of this piece and more are included in our convention photo gallery. When we came into the Saturday show last year, we saw a line into the convention that stretched over half a mile and into the Federal Hill neighborhood. While the line into the show was sizable this year, it was nowhere near being that crazy at any point in the day. By the middle of the day, the length had considerably cooled down and there was almost none by 1 p.m. both days. Instead, the complaints we heard were about the parking situation. One of our friends reported to us that they waited nearly 70 minutes to get into the parking garage. Inside, the convention felt very crowded on Saturday – living up to being a sold-out event – but Friday and Sunday felt a lot more mellow and considerably more navigable. Certainly, both of those days felt like they would be a better experience for families or younger attendees. 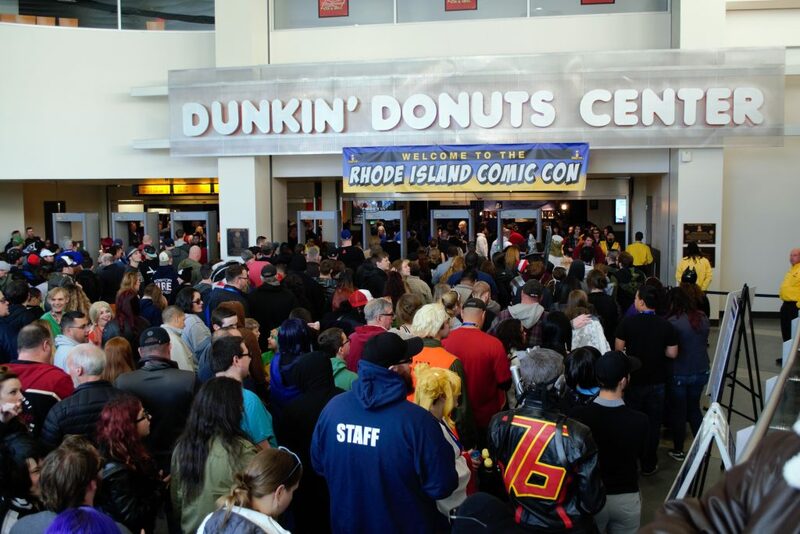 There were a lot more people in the Rhode Island Convention Center at all times compared to the much larger Dunkin Donuts Center, even on the sold-out Saturday. Part of this has to do with two specific alterations the convention’s organizers made. Firstly, the skybridge between the two buildings was made into a one-way route. If you wanted to go from the convention center to the Dunk, you had to go outside and enter through a re-entry door (exceptions were made for disabled individuals, vendors and press). This fixes a fire-safety problem that Megan and I pointed out in our logistics overview of last year’s show. This decision was ultimately for the best, and made walking on that skybridge safer than last year and much less of a crowded nightmare. Secondly, the arena floor of the Dunk – the largest arena in the state – was devoted entirely to autograph lines for six or seven individuals, with Stan Lee’s line taking up over a quarter of that space. Last year, there were a few lines for big-ticket celebrities inside the Dunk, but much of that floor was taken up by merch. There were some things to see in the Dunk, including a few neatly spaced out merchandise tables on both lobby floors, but in general it felt like the less interesting of the two buildings this year. Indeed, If you weren’t interested in autographs for anyone – part of the lower lobby was to purchase tickets for autographs and photos for celebrities in both buildings – you were better off staying in the convention center entirely this year. Fans were concerned this year after several high profile cancellations, including Kate Beckensale and Billie Piper. The convention explained that Beckensale dropped out do to filming obligations and it’s expected for any convention to have a couple guest cancellations each year (last year, Carrie Fisher dropped out). The lines, particularly for Morgan and Lee, were very long and the popularity of both Beckensale and Piper would have likely placed their lines into the Dunk as well and I have no clue how they would have made room. Lastly, it would be remiss if I didn’t mention the biggest complaint on the convention’s Facebook: The lines for celebrity autographs, particularly with those big names inside the Dunkin’ Donuts Center. One con-goer anecdotally claimed that they waited nearly seven hours for a photo-op with with Walking Dead star Jeffery Dean Morgan. Others who had paid extra for the VIP ticket for Stan Lee noted that their swag bag was missing items and that line moved too slowly. Deadpool creator Rob Leifeld (center) signs autographs for fans at the 2016 Rhode Island Comic Con. Photo: Megan Phelps | The Young Folks. The handful of stars in the Dunk aside, most of the celebrity signing tables this year were – like last year – in the Rhode Island Convention Center’s exhibit hall, where the floor was split between merch space and guest booths (the latter largely in the hall’s “A” section). There seem to be a good mixture of guest there, and a good mix of big names and cult celebrities this year, with draws like Summer Glau, Ric Flair, Arthur Darvill, Jason David Frank and Michael Cudlitz sharing space with Doug Walker, Sean Pertwee, John Ratzenberger and plenty of comic book artists. Unlike the Dunk lines, every line in the RICC seemed to move quickly and smoothly. Some of the booths had a more casual, relaxed feeling to them, and fans seemed to be able to chat with a guest longer than would be afforded elsewhere in the event. There were a few individuals, mostly comic book artists, who were not in this specific celebrity wing of the hall, but instead dispersed into its B quadrant alongside vendors and other artists. The most prominent of these being Rob Leifeld, who had his booth on a corner of a corridor, which resulted in a medium sized line snaking through an aisle. Despite his controversial reputation in the comic book world, we heard nothing but positive remarks about Leifeld. Just like the guest selection, the panels spanned a wide swath of fandoms and continue to be the best part of this convention. The two that we attended – featuring Alice Cooper and Christian Slater – were well moderated and organized. Both Cooper and Slater had plenty of time for fan questions and both events felt well paced. As with last year, Buffy the Vampire Slayer actress Clare Kramer impressed us as a moderator by keeping the fans engaged, asking solid introductory questions and having a wide breadth of knowledge about the panel subjects. We were unable to attend other panels, including those featuring actors from The Walking Dead, True Blood and Power Rangers, so I’m unable to say how those were run. One panel we didn’t get into was arguably the main event of the panel schedule: a Q&A with Stan Lee. Any event that had to do with the Marvel legend had a huge turnout at this convention, and that panel was no exception. 45 minutes before the panel even started, the line for it was exceptionally large and so was the expedited VIP access line. When we returned to wait for Christian Slater’s panel, we were informed that Lee’s panel had reached the maximum capacity of the convention center’s Ballroom A and they were not allowing anyone else in, even press. The stories that came out of Lee’s panel imply that it was one to remember. On the next page, check out our thoughts on the merchandise and other sights at this year’s convention!